To learn more about how our farm management software tools can help your operation, click the button below to access a live demo account. for a free 14-day trial. Stop managing your farm based on gut feel and emotion. In today’s competitive and volatile farm economy, being a professional farm business manager is no longer a trait of the most successful farms. It’s a requirement of all farms. 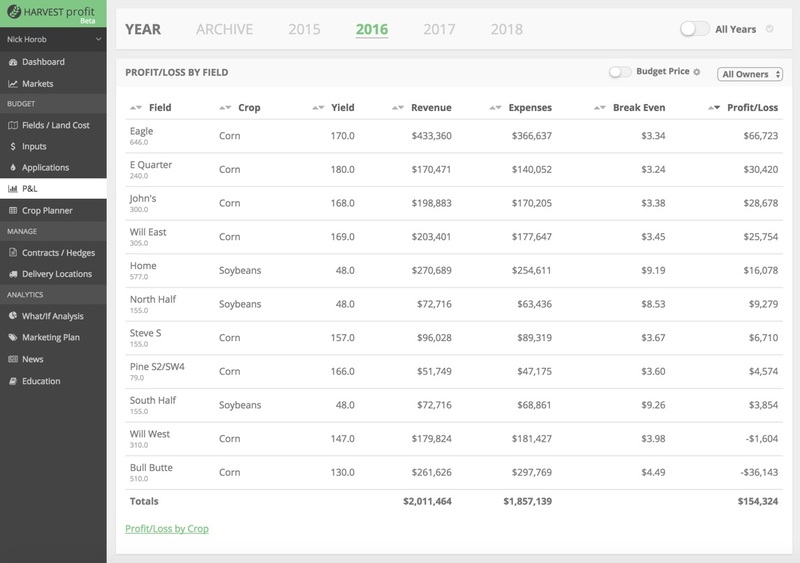 Harvest Profit’s farm management software allow producers to track their P&L in real-time giving them the confidence to make less emotional and more profit-focused farm business decisions. A farm is essentially a manufacturing business made up of many different manufacturing plants (your fields). While your enterprise-level financial performance is what matters at the end of the day, field-level financial performance will allow you to fine tune your operation. Harvest Profit makes this process easy. Grain marketing in today’s volatile environment is harder than ever. 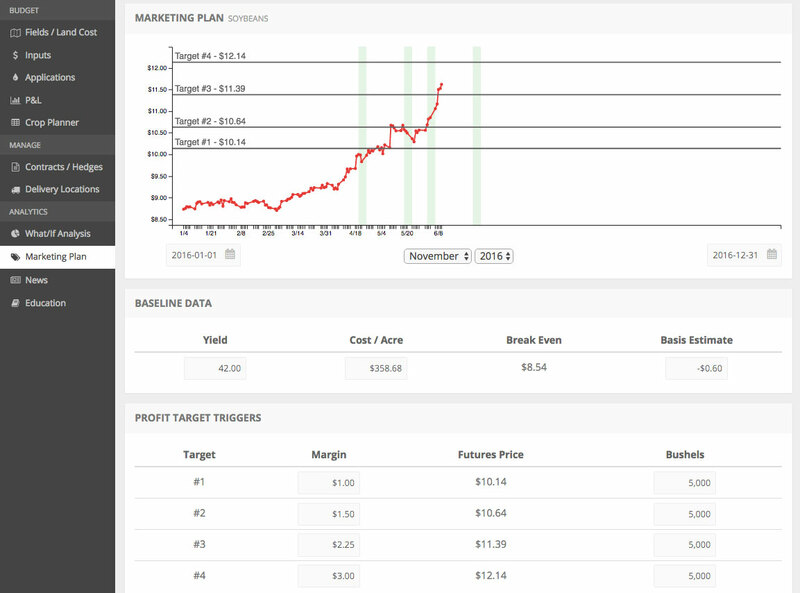 Our real-time farm P&L will help you focus on what matters, your farm’s bottom line. 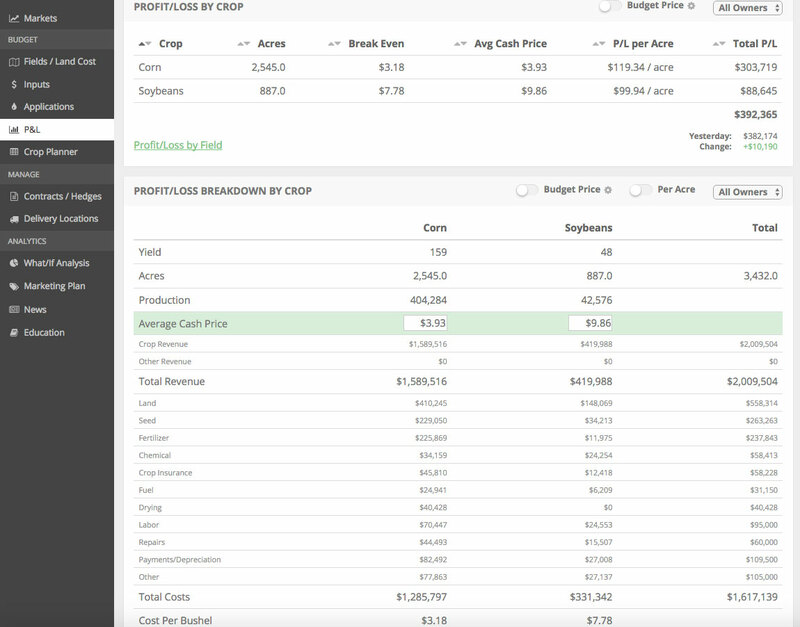 In addition, our grain marketing plan builder will allow you to build a profit-focused marketing plan. You’ll receive notifications when your plan’s price and/or date targets have been met. This allows you to focus on raising crops instead of fixating on market prices which none of us have any control over.